It’s not always easy to ask questions if you are the quiet one. And it isn’t always easy to find a mentor who understands your long and drawn-out thoughtful silence. Perhaps there is a modern solution to overcome these social “shyness” barriers and learn how to become a better human being at the same time. You love to read, and to write, right? Do you have a computer and the creative ability to express yourself in words? Wonderful! Let’s chat-text on Skype and you’ll have a dedicated sustainable life designer to help you discover your passion for living a simple life, closer to nature! I have one hour set aside for you each week. Ask anything you need/want to know about living a plastic-free, chemical-free, gluten-free, guilt-free, simple life. With a 3-month commitment I will help you navigate the winding, difficult and abundant journey to living with less, all the while treating the Earth with the respect that she deserves. It is a constant challenge to live differently than the mass consuming society, but I’ve already crossed the point of no return and I am unwilling to be the ideal consumer that I once was. I will help you turn into that intuitive eco-conscious soul too! 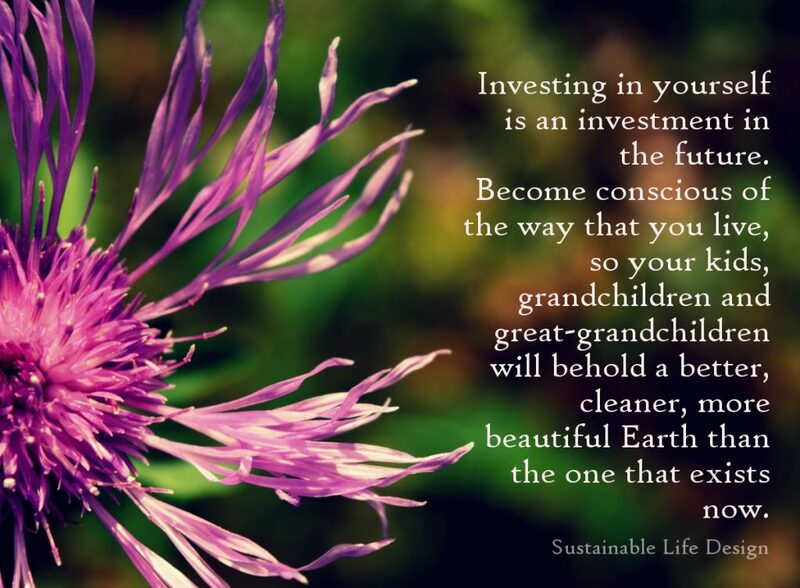 A sustainable life is about making the right choices, the ones that are fantastic for you, and the ones that are wonderful for the environment. In the course of 12 weeks – Sustainable Life Design for Introverts, we will chat-text and discuss everything you need to know about living a sustainable life. Digital detoxing – make sure it is a weekly thing! Agriculture and organic food provision – where does your sustainable diet stand? Conclusion – your turn to help others shift the paradigm! We can discuss topics as they come up, pair some together, toss some out, add some in – it is up to you and your innermost interests. Your incredible strength is in your quietude. When you rediscover the ability to listen with an open heart and a conscious mind, then you can make positive and impactful changes in the development of a sustainable future. Our sustainable life design services are for anyone and everyone who cares deeply for the environment, but who also needs a gentle push to make those most difficult and lasting changes that lead to a brighter destiny. We are looking forward to guiding people who are past their “whys” and in the thick of “hows”. Sustainable Life Design for Intellectual Introverts is for the quieter crowd, for those not desiring a face-to-face live video session. It is for those creative people who need a few moments to formulate their thoughts into a longer series of meaningful questions and answers. It is for those who do not like to be rushed in their thoughts. It is for the calm/quiet/shy/empath beings who prefer writing and reading over speaking. If your goal is to live in harmony with nature, then hiring a sustainable living coach will immensely change your life – and at a much faster rate than you ever thought possible. You need someone to be there by your side, to help you navigate the many “eco” choices out there, and trust me, there is plenty of greenwashing going on in big “green” business. You must be willing to go out on your own, at your own pace, with your own eco-ethics – be ready to embrace self-reliance and make some of your own clothing, grow a portion of your own food or learn how to shop for ingredients responsibly, cook at home. See the theme here? There is absolutely no other way around climate change, environmental degradation and plastic pollution. You are the answer to the betterment of future life on Earth. Everything you do today impacts life tomorrow. Are you ready to become the exceptional, intuitive eco-conscious being that you are meant to be? If you are passionate about the environment, let’s chat! Let me know a little something about yourself: name, age, location, availability for Skype sessions and Why you are interested in Sustainable Life Design for Intellectual Introverts. I can’t wait to read your story! If you want to get in on my eco-chat-action sessions, please note that I only take a maximum of 2 clients a month! Quality over quantity is exactly what sustainability is about. We’ll Skype for 1 hour each week on a schedule which we set together. There will be follow-up emails after each session. There is no need to wait until the beginning of any month, I take new clients on a rolling basis – email me when you are ready to join! After 12 weeks of communicating across borders, you will have the confidence and knowledge to make essential eco-conscious choices for your life, for the future of your children and for your green business. What are you waiting for? The best time to plant a tree was 20 years ago, the next best time is today! €3000 for a 3-month commitment. If you prefer to make monthly payments, €1111 is due at the beginning of each month. This includes 12 weeks of Skype sessions plus weekly follow-ups. Payment by Direct Bank Transfer, or PayPal, after our initial email correspondence. If you would prefer a single session of Sustainable Life Design for Intellectual Introverts, to dip your fingers into an hour long workout of designing your own sustainable life, then please click the payment option below and we will shortly schedule a time that works well for both of us. Choose a topic to chat about from the list above, or let the conversation unfold naturally… your life, your choice! And if you truly cannot wait to get started with ecofying your life and prefer to jump straight into Sustainable Life Design for Intellectual Introverts, purchase the 3 month consulting package below, we’ll create a 12 week schedule together and shortly be chatting in real time. There is no better time to change our consumer habits than the present. Start shifting your ecological paradigm now! Cheryl has been been living simply for far more than a decade, and at moments (3+ years) in life she has lived out of a backpack with her husband and daughter in Scotland, England and Romania. Her formal education is in horticulture, though it is life experience that keeps her looking ahead for a sustainable future. 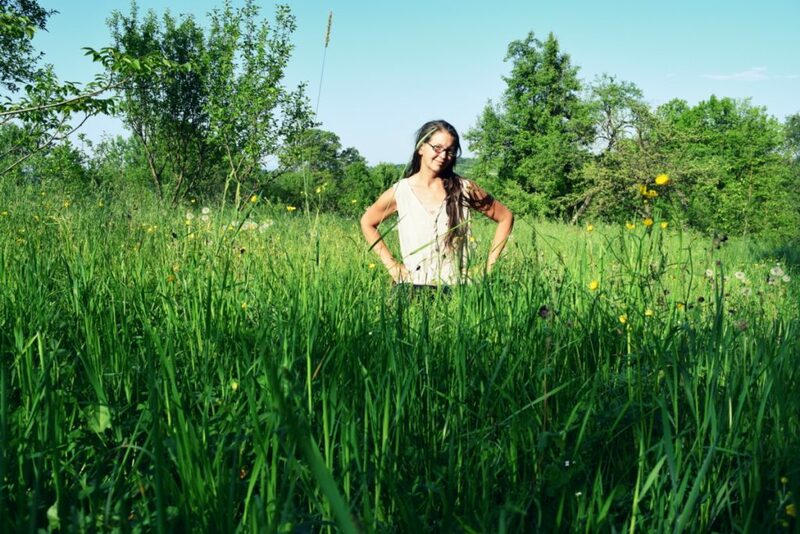 As a homesteader, organic gardener, forager, cook, tree planter, slow traveler, hiker and proud introvert, her knowledge and immeasurable experience in sustainability and simple living is yours for the asking!